Welcome to the most happening shopping and entertainment district in Seoul, Myeongdong! Whatever your reason is for visiting Seoul, Myeongdong is not to be missed from your Seoul experience. Myeongdong is good to visit both during the day (from 10am) to the evening (up to 10pm ++). If you visit during the evening, there is a on street night market where you can find many good bargains for clothes, shoes, hats, bags etc. in addition to the food and drinks stores. Visiting Myeongdong is easy as it is located right at Myeongdong Subway Stations along Seoul Subway Line 4. You can either get down the train at Myeong-dong Subway Station. Apart from fabulous shopping, Myeong-dong also offer some of the best and famous restaurants in Seoul and Korea. Korean BBQ, Bibimbab, Ginseng Chicken, Korean Fried Chicken, Kyoja (dumpling) are not to be missed, just to name a few. Money changers are plentiful here. You can find one almost every in every 20 steps or so in Myeong-dong. Four currencies, namely, China RMB, Euro, USD and Japanese Yen are widely exchanged here are very competitive rates displayed clearly by most currency exchanges. For other currencies, all you need to do is to inquire. Many of the money changers are willing to accept other currencies as well. Staying in Myeongdong during your visit to Seoul may prove to a wise choice. 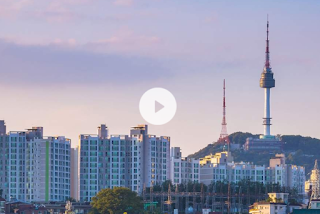 Its central location and happening surrounding makes it a good base to explore wider Seoul if you have time and enjoy the best part of Seoul if you are in a hurry. 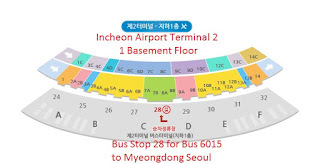 There are many hotels around Myeongdong Station where bus 6015 from Incheon Airport can bring you directly here. If you are looking for some entertainment, Myeongdong has some of the best and classic in Seoul. Check out the MyeongDong NANTA Theatre and enjoy a Nanta show. Satisfaction is guaranteed even if you don't know a single Korean word. Myeongdong has its special charm that draw crowds days and nights without exception. If you plan to visit Seoul's famous destinations like N-Seoul Tower, Nami Island, Lotte World and Everland, there are more reasons to stay at Myeongdong because buses to these Koreans' favourite destinations all departs from Myeongdong Station. Regardless of whether you are visiting Seoul for business or leisure, spending some time in Myeong-dong may well prove to be the most worthwhile experience for your visit to Seoul. Thank you for the suggestion. Actually Han River is a big area but I think you are interested to see the beautiful Banpo Bridge Rainbow Fountain. I will try to write a guide to go there soon. By Bus - KRW25000 (Book Online), straight forward and more comfortable but more expensive. Bus goes direct from the famous Shinsegae Duty Free Store in Myeongdong to Nami Island. Read more below...By Train - KRW18700, cheaper but complicated for first timer as you need to change train lines 3 times to get to Gapyeong Station and then take a bus to Nami Island. Read more below... ****** 1. By Train - How to go to Nami Island by Train from Myeongdong Station The journey from Myeongdong Station to Gapyeong Station where Nami Island is located will take about 1 hour 30 minutes. As you need to change train line 3 times for this trip, it is not advisable to sleep or take a nap during this trip or you may miss the stations to change line.